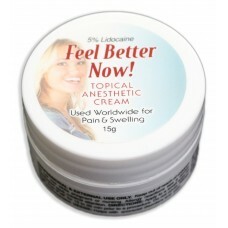 Feel Better Now Topical Anesthetic Cream is used PRIOR to a procedure. It can help take off the edge to help relax your client as the procedure begins. This 5% lidocaine formula can be used for cosmetic tattoo procedures, laser, electrolysis, microneedling, etc. Directions: Apply a thin layer of Feel Better Now Topical Anesthetic Cream PRIOR to the procedure and wait approximately 20 minutes. 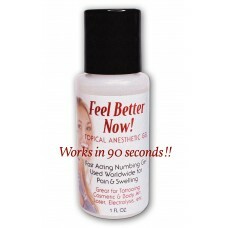 Also: See Feel Better Now Topical Anesthetic Gel is used DURING a procedure. This gel formula has a quicker numbing agent then most other topical anesthetic gels. It has 5% lidocaine, 2% tetracaine and 0.02% epinephrine which works in 90 seconds to help relieve pain, swelling and bleeding. As soon as the skin is broken, apply for the ultimate numbing experience.